This kit has everything you need to set up your interactive maker project, including the BBC micro:bit. Easily and quickly add lights and sensors to school projects, models and art installations. There are enough connecting wires and LEDs for 2 or more projects, depending on how many LEDs you use in each project. The HyperDuino can control a maximum of 12 LEDs and watch 12 touch sensors in any one project. However some projects may use less than these quantities, so you’ll have some available for additional projects. The components can also be reused many times. 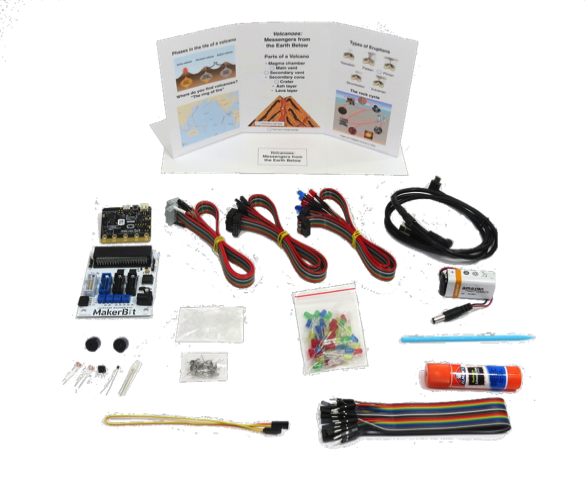 See the “HyperDuino Project Supply Kits” for how to purchase additional sets of LEDS, touchpoints and connecting wires. The MakerBit can be used with any operating system and device that supports the Chrome browser, including Chromebooks, Mac and Windows laptops. 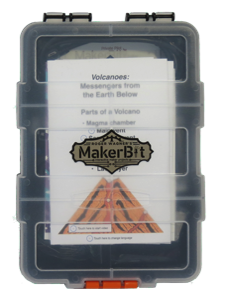 For software, you can use the MakerBit Media Linker app, download instructions for which are included in the MakerBit package. The HyperDuino system also works with the Microsoft MakeCode block programming environment, as well as Python for the micro:bit. If you're interested in the technical details of the MakerBit hardware and software, click here for information.